Dallas Personal Trainer - An old school exercise that is rarely used by a modern Dallas personal trainer in spite of its distinct advantages over many other more popular bicep exercises. It excellent value lies in the fact that it puts the body at a 45 degree angle and thereby allows the biceps to reach a full stretch while still contracted at the bottom of the movement. 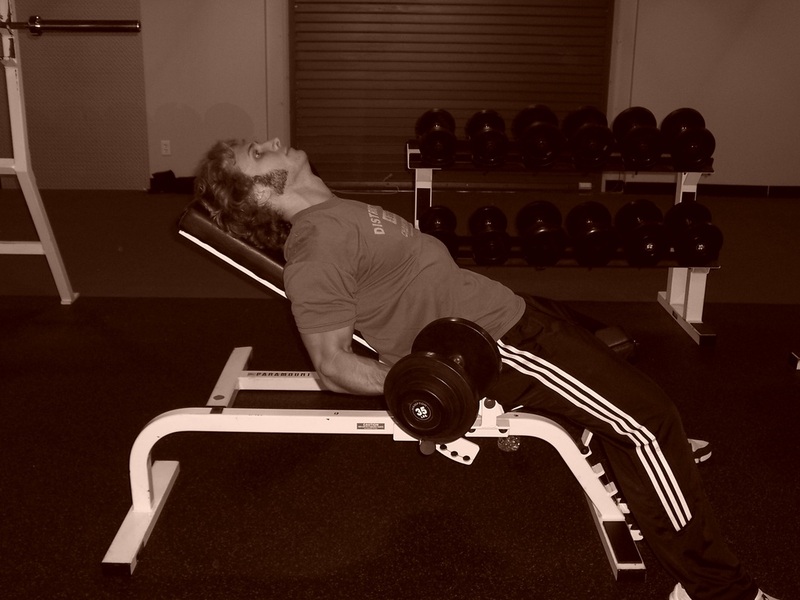 Set a bench to a 45 degree angle, pick up a set of dumbbells and sit back on the bench, letting your arms hang down. Keeping your elbows and shoulders stationary, curl the dumbbells up to arm-pit level, contracting the biceps as tightly as possible (this is where it will be tempting to lift your elbows forward... don’t do it). Make sure to keep your wrists completely straight (not curled) and your palms faced up (not in toward the body) throughout the exercise. After getting a very tight bicep contraction at the top of the movement, lower the dumbbells back down until your arms lock out completely, giving your biceps get a good stretch (while making sure to keep your elbows perfectly still). After getting a good stretch at the bottom, smoothly transition into curling the dumbbells up for the next rep, making sure that you initiate this movement very strictly with your biceps (don't use momentum or help from the shoulders).